The DS 6WR has the DS line's new front end identity with two chrome-finished wings at each side of the grille connecting it to the headlights. Citroen will debut the DS 6WR, a production version of its admired Wild Rubis SUV concept, at the Beijing auto show on Sunday. 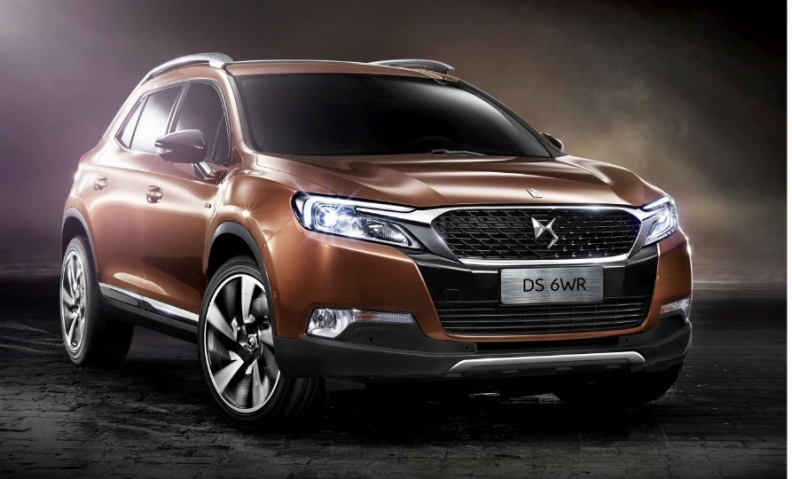 The DS 6WR will go on sale in China by year end as the flagship of Citroen's DS upscale subbrand. It will compete against the Audi Q3 and Mercedes GLA, a Citroen spokeswoman told Automotive News Europe. Citroen has no plans to sell or produce the car in Europe at this time, the spokeswoman said. "Never say never, but for the moment the DS 6WR will be sold only in China and surrounding countries." The DS 6WR supports PSA’s new strategy of turning DS into a standalone brand, said Ian Fletcher, a senior analyst at IHS Automotive. "The model allows the DS brand in China to offer a range of premium vehicles in three popular categories in China: the compact, the large car, and now the SUV segment." The DS 6WR was designed in Paris, which Citroen calls the "capital of luxury and fashion" to meet strong demand from Chinese consumers for French luxury goods. The SUV will be built at PSA/Peugeot-Citroen's factory in Shenzhen, Guangdong. The plant, a joint venture with Changan Automobile, opened in September and has annual capacity of 200,000 units. At its debut at the 2013 Shanghai auto show, the Wild Rubis drew much attention as Citroen sought to capitalize on how Chinese consumers equate French cars and goods in general with fashion and style. Instead of adopting the Wild Rubis’s plug-in hybrid drivetrain, Citroen will sell only a gasoline-powered variant of the DS 6WR with a choice of 1.6-liter four-cylinder engines producing 160 hp or 200 hp, mated to a six-speed automatic transmission. The SUV does not have four-wheel-drive but will be offered with a feature called Grip Control, which Citroen says optimizes two-wheel-drive traction without the need for 4wd.